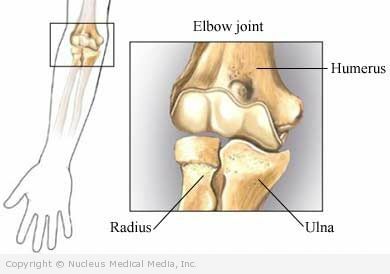 An elbow sprain is stretching or tearing of the ligaments that stabilize the elbow. 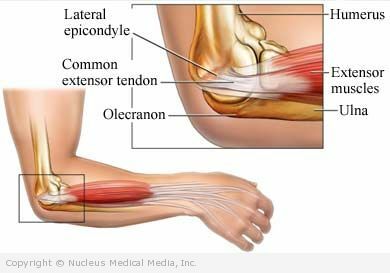 Ligaments are strong bands of tissue that cross joints and connect bones to each other. 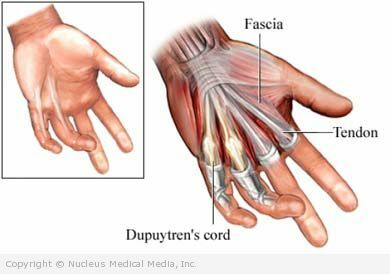 Dupuytren’s contracture is a thickening and shortening of the fascia in the palm of the hand. The fascia is a firm tissue that lies just below the skin. 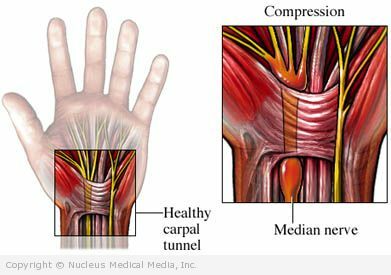 This condition causes affected fingers to curl towards the palm and makes extension of these fingers difficult or impossible. Tendinosis — microtears (tiny breaks) in the tendon tissue with no significant inflammation.